Video of a raccoon riding the subway, nibbling food out of a bowl as it's seated between two people, has New Yorkers alternately repulsed, amused and just plain bewildered. Subway rider Brooke Hogan told NBC 4 New York she took the video on a Lexington Avenue-line train heading uptown from 42nd Street last Tuesday. The raccoon is seen seated next to a woman -- apparently his owner or handler -- furiously licking food out of a small plastic bowl. 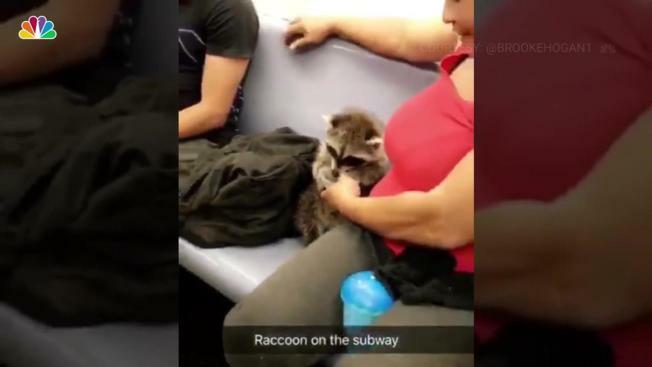 It's not clear from the video why the woman had a raccoon, or why she brought it on the subway. People in New York aren't allowed to have a raccoon without a license, and licenses aren't issued for pet wildlife, according to the city. "Never sitting on the train again." 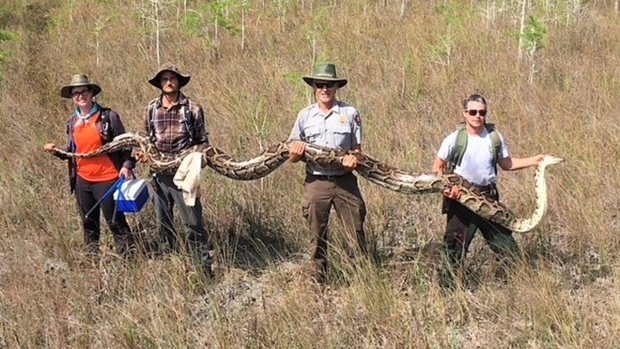 "I'm not sure if I'm laughing or throwing up." "Are you kidding me?? How did people not freak out??" "New York subway is just game over, not even playing anymore." "People become so strange in the summer." "Raccoons are New Yorkers, too." "This is why the NYC subway is the best, and worst." It shouldn't be surprising that the subway raccoon was able to grip the bowl with its own paws -- the animals have "amazing dexterity, allowing them to open doors and untie knots," according to New York City's wildlife site. They can also rotate their back feet, allowing them to descend from trees headfirst. New York City's wildlife site also says most raccoons pose no risk of transferring disease to humans, and the incidence of rabies in the New York City raccoon population is very small. Since 2014, the city and federal governments worked together to vaccinate raccoons on Staten Island, Brooklyn and Queens against rabies. Still, people shouldn't approach or feed raccoons, the city warns: they can become a nuisance if people supply food or shelter. The "opportunistic feeders" will eat whatever is easily accessible, including fruit, nuts, fungi, insects, worms, birds, turtles, eggs, mice, bats, squirrels, fish, snakes, frogs, dead animals, bird feeder seed, pet food and human food waste. Most raccoon don't live past 6 years old in the wild.